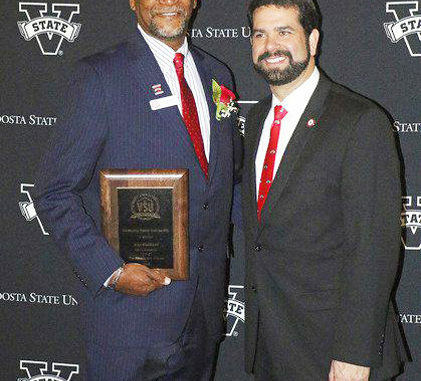 Jacksonville native, Imani Akbar (formerly Ivey Hubbard) was recently inducted into the Valdosta State University (VSU) Athletics Hall of Fame. 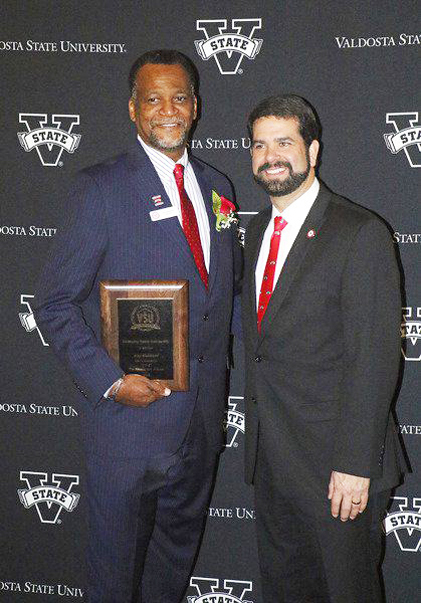 Akbar was one of eight inductees into the Valdosta State 2018 Class of honorees. Akbar joined the VSU Blazers basketball program in 1979 to begin a four-year career, during which he averaged an impressive 16.5 points per game. Throughout his career, Akbar was a consistent force for the red and black and constructed an incredible offensive run led to 1,783 career points. Akbar finished his career fourth all-time on Valdosta State’s all time scoring list. 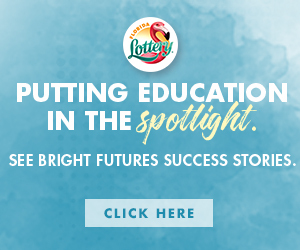 In high school, Akbar was a first team 1979 All-City high school athlete at Englewood High School. Akbar led the Rams to three straight Gateway Conference Championships and one District Championship.